South African jazz giant Abdullah Ibrahim joins Grammy Award winning trumpeter Terence Blanchard and celebrated pianist Ahmad Jamal at the opening night of Standard Bank Joy of Jazz, which runs in Newtown from August 22 to 24. 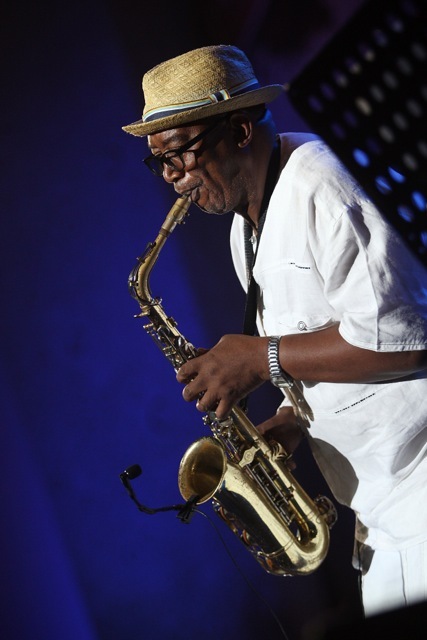 In 2013 the Standard Bank Joy of Jazz once again reinforces its status as South Africa’s premier jazz festival, and one of the best on the African continent, thanks to a stellar line-up of musicians from around the globe. These include American Carmen Lundy, an enduring artist in a jazz vocal tradition that stretches all the way back to Billie Holiday; acclaimed “Big Chief” of the sax Donald Harrison who will be performing with his nephew the acclaimed New Orleans trumpeter Christian Scott as well as South African trumpeter Lwanda Gogwana; Grammy Award winning tenor saxophonist Eddie Daniels; Japanese jazz pianist Tsuyoshi Yamamoto and American saxophonist Tia Fuller who was a member of the all-female band touring with Beyoncé. Also on the bill, which features more than 50 artists, is Dennis Edwards, a former lead singer for the Motown act The Temptations who will be appearing in The Temptations Review which features Paul Williams Jnr, son of original Temptations member Paul Williams; Peter White from the UK who first gained fame with his distinctive guitar style as accompanist to Al Stewart and played on Stewart’s landmark Year of the Cat album; Argentina’s Tango String Quartet; the DRC’s Ray Lema; US vocalist René Marie; Cape Verde’s Marie de Barros and Lenora Raphael from the US. The South African contingent includes Ray Phiri and Stimela; Mlungisi Gegana who will be paying tribute to the late South African jazz double bassist and pianist Johnny Dyani; Sipho Mabuse who pays homage to Zim Ngqawana; Sibongile Mngoma (a former Standard Bank Young Artist) who will release an album in June this year in which classical meets jazz; Afrotraction; Kabomo, Selaelo Selota, Mbuso Khoza, Ivan Mazuze, Jeff Maluleke and Themba Mkhize. From his roots growing up in Cape Town and Johannesburg, South African composer and keyboardist Adam Glasser is now recognised as one of the world’s leading jazz harmonica players. Glasser has put together a unique jazz collaboration for Standard Bank Joy of Jazz combining musicians he has played with in both the UK and South Africa including Australia’s Carl Orr, South Africa’s Concord Nkabinde (former Standard Bank Young Artist winner for jazz) and Nduduzo Makhathini as well as Ghana’s Frank Tontoh. Shane Cooper, the 2013 Standard Bank Young Artist Award winner for Jazz, will be performing with Bokani Dyer, Kesivan Naidoo (another former Standard Bank Young Artist winner for jazz), Reza Khota and Justin Bellairs. There’s a performance from the Peter Auret Trio comprising Auret, Roland Moses and James Sunney of Watershed fame with special guest Joe Penn on saxophone. Described as the most gifted musician ever to blend African and American music, Abdullah Ibrahim has enjoyed a career that has spanned half a century as a pianist and composer. 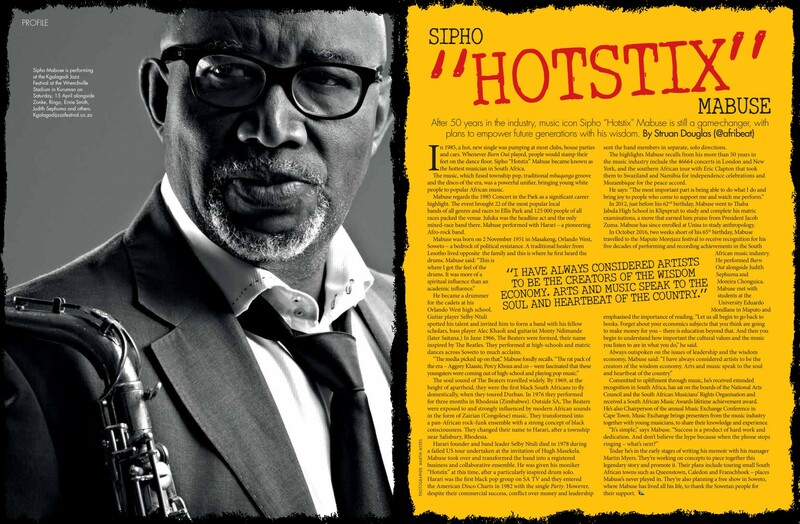 He has worked with many legends of South African and global jazz. When he returned to South Africa in the 1970s to record his masterpiece, Mannenberg, he earned his place among South Africa’s greatest musicians. His sold-out performances continue to thrill jazz fans from around the world. In his autobiography, Miles Davis describes the impact of hearing celebrated pianist Ahmad Jamal: “He knocked me out with his concept of space, his lightness of touch, his understatement.” Named as an NEA Jazz Master and a Kennedy Center Living Jazz Legend, Jamal is a bona fide jazz star and the source of inspiration to many younger pianists. Although he has four Grammy Awards for his jazz recordings, Terence Blanchard also ranks among the most creative, in-demand film score composers, particularly for his collaborations with Spike Lee. He is now putting the finishing touches on his first opera, commissioned for Opera St. Louis. Blanchard has also assumed roles as a music educator as the artistic director of the youth-oriented Thelonious Monk Institute of Jazz and, more recently, as the artistic director for the Henry Mancini Institute at the University of Miami Frost School of Music. The Standard Bank Joy of Jazz will take place on eight stages in Newtown including the Dinaledi Stage, the Conga, Mbira, Bassline and The Market Theatre. Other venues include free concerts at Sophiatown, Shikisha and Nikki’s Oasis. Tickets are on sale at Computicket with a 15% discount for all Standard Bank customers valid from from May 21 until June 30 (terms and conditions apply). 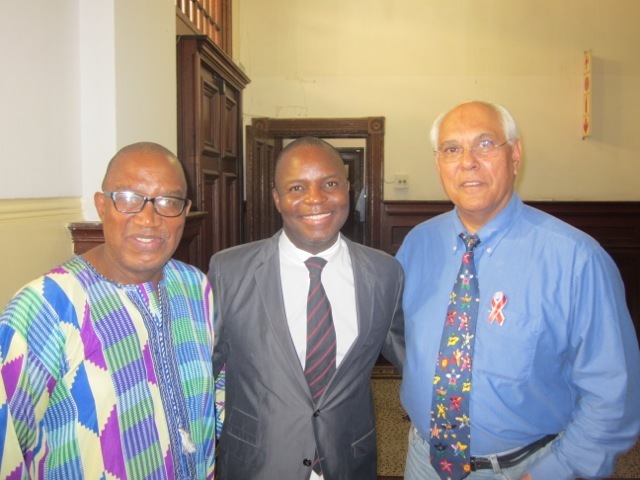 Sipho Mabuse to be on MOVERS & SHAKERS on eNCA Channel 403, 15 April at 10h50. 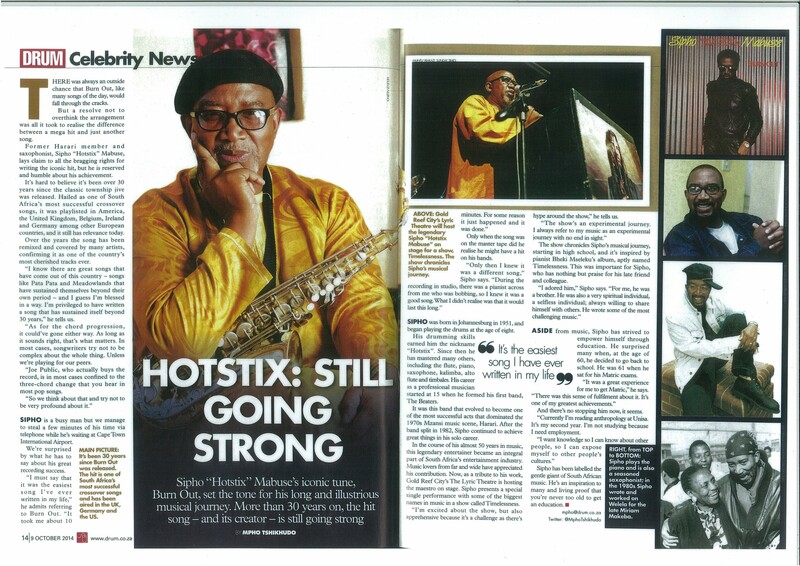 The show that will feature Sipho Mabuse will be aired on the 15th April 2013. Sipho Mabuse to be on MOVERS & SHAKERS on eNCA Channel 403,15 April at 10h50. AFRICA’s biggest soccer spectacle, the Africa Cup of Nations (Afcon), will open with a star studded artist line-up on Saturday. One of the performers is heavily pregnant afro-pop singer Siphokazi Mohapi who says though she has little knowledge of soccer, she is honoured to be part of the line-up. “I am going to perform as a soloist and then as part of the group of artists at the end of the opening ceremony. The song is titled Sisebenzela and it was composed by Mam Sibongile Khumalo. via Artists ready to stun at the Afcon opening – Sowetan LIVE.